Gale, your coloring on this is absolutely fantastic! So pretty and I know your friend will love it. That is so stinkin' adorable. I love the colors. What a sweet sweet card. 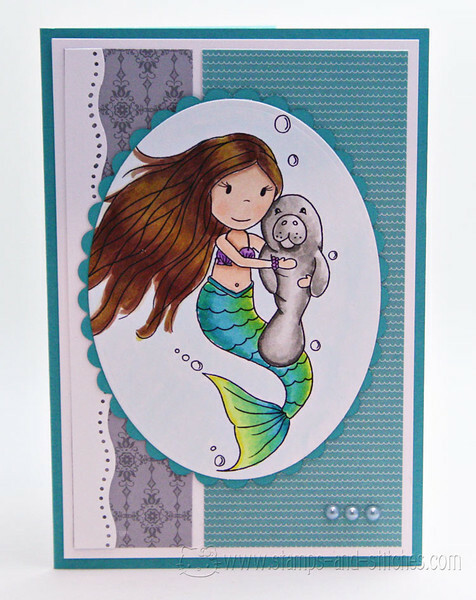 Gayle, Your card is adorable, and such awesome coloring! Love it! Aw, this is a gem, Gale! Here in Miami we see a lot of manatees, native to our area, and they are such sweet gentle creatures - love your card, the beuatiful hues ~ wonderful job!